This is my favorite in the series and one of my favorite horrors in general. The 90s gothic vibe was so good and Jennifer Tilly did amazing. Love, probably my series fav. Tiffany is hilarious and awesome (loved David as well). Nice switch up to the style and tone. Easily one of my favorite films of the series. I can't tell if this or Cult is my favorite though. Both are stellar. I really do like the 90s gothic vibe & I loved Jade/Justin(? 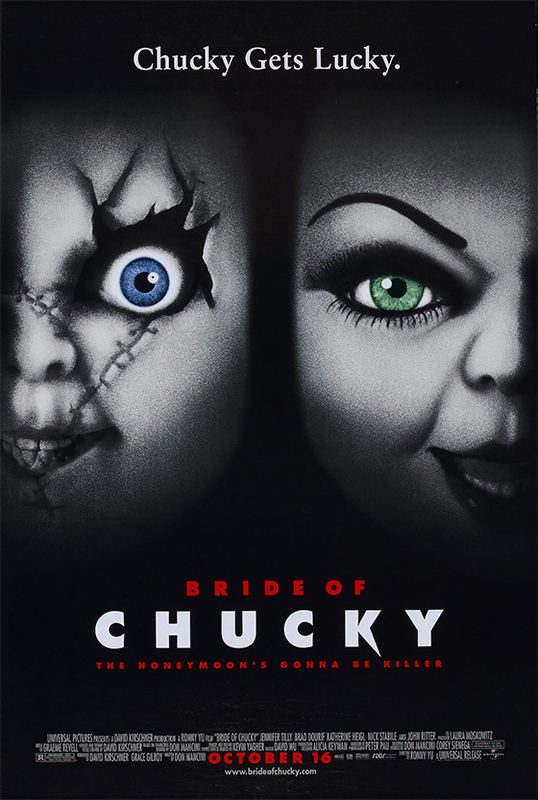 ), as well as Chucky/Tiffany, they made a great duo.